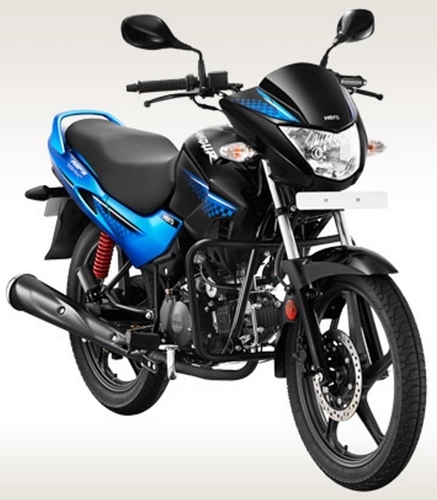 The 110 - 125 cc has been growing at steady pace since the past few years. Last year, the market demand grew by 10%. Because of this increasing demand, many are vying to enter this market. Two bike makers who currently reign over the 110 - 125 cc segment are Honda and Hero. Mostly, Honda topped the sales charts with their CB shine while the Hero Glamour stood second. However, things seem to have changed now. The Hero Glamour has proudly secured the first position by out-selling the CB shine for three consecutive years. Honda's sales fell from 75,532 to 66,700 within a year, while the Glamour, Splendor etc recorded an big boost in sales with nunits going up from 82,298 to 1,09,955. The Hero Glamour is powered by a 124.7 cc air cooled, 4-stroke single cylinder OHC engine delivering 9 Bhp @ 7000 rpm and 10.35 Nm @ 4000 rpm.